Labor export is the traditional business which has been done since the establishment and in the development of Vinaconex. In the early days, one of the main functions of Vinaconex was to provide and manage the resource of construction specialists and workers working abroad, and Vinaconex is now a leading company in labor export. In the course of development for the last 20 years, Vinaconex has arranged 60,000 times of specialists, engineers and workers working in more than 20 countries such as Libya, Iraq, Algeria, Japan, South Korea, Taiwan, Czech Republic, UAE, Qatar, and Lao PDR. Manpower activities include man power supply, tendering and sub contractor in international construction. Vinaconex is employing hundreds of staffs and engineers with high skills in specialty and management, foreign language, foreign market understanding, strong commitment and honest in the field of labor export. Labor export activity is implemented and managed in accordance with the procedure of quality standard ISO 9001 – 2000, approved and certified by BVQI. This standard guarantees the quality of procedure from training, selection to management of specialists and workers working abroad, and quality of regulations and polices for employees as well. In addition, Vinaconex has three high quality schools which provide specialists, workers before going to work abroad with job training, skill improvement, language training and vocational orientation. Considering labor export as an important field with high level of social impact, in the future, Vinaconex will expand this activity with a focus on market expansion and increase the number of jobs. On the advantage of a reputed investor in Vietnam and with more than 40,000 high skill and committed workers, Vinaconex will provide labour by gaining international bidding construction contracts. With the above mentioned focus, Vinaconex will diversify the model and quality of labor, and strengthen the management in order to protect the rights of labors. With regard to this field, Vinaconex has transferred to subsidiaries and schools for the implementation. Besides labor exporting, Vinaconex also implements other export – import activities to assist the construction and consuming market (at commercial centers). 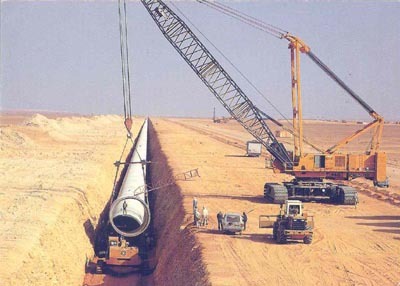 Exporting activities are now focused on producing construction materials. At present, in order to focus on core business sector regarding construction and real estates, Vinaconex has transferred this field to subsidiaries and member companies.